Its urban and pioneering design stands out because of its tubular chassis that gives it a hardwearing and innovative character. Additionally, Epic offers extraordinary versatility: hardwearing PU tyres with shock absorbing properties; independent, long travel suspension on the rear wheels; excellent manoeuvrability thanks to the balanced front wheel set giving smooth, precise turning, a double brake lock and more compact folding with the detachable and reversible seat. Carefully designed, right down to the last detail, Epic also includes a practical cover for the handlebar so it doesn’t wear out from the continual use of the pushchair, and it also gives it a very personal touch. Like all the Jané pushchairs, Epic offers all the characteristics and features typical of the brand: lightness, smooth handling, comfort for the baby, pro-fix system and a unique design. 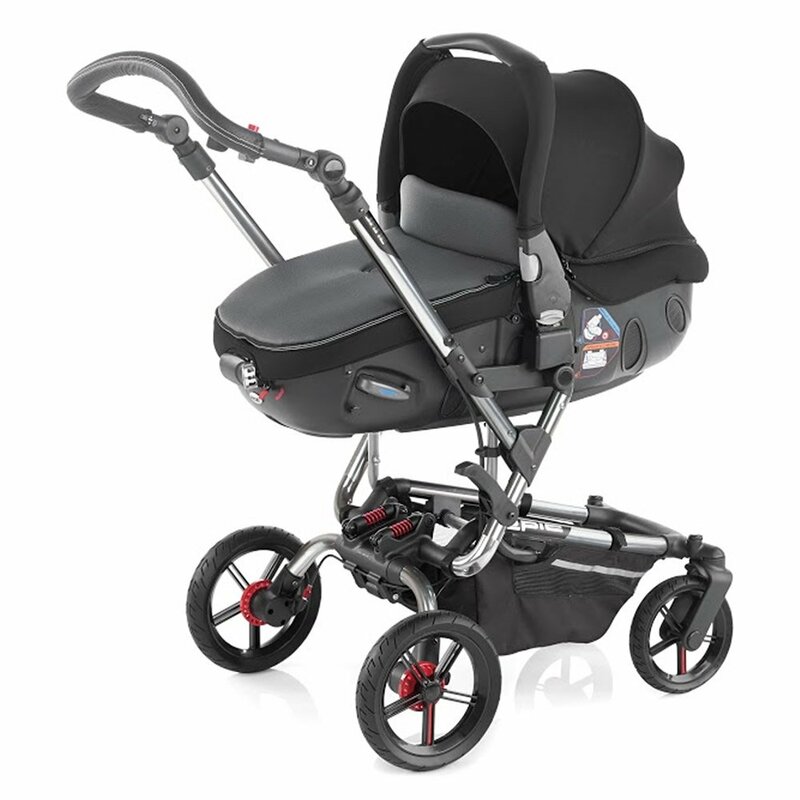 Epic is a great pushchair full of new developments! The Jane Matrix Light is the only car seat in the world that is multi-positional meaning it can change shape from a car carrycot to a car seat…………as well as having two lie back positions for use when Matrix Light is attached to a Jane pushchair. The Jane Matrix Light is (as far as we are aware)……the only group 0+ car seat without a time limit (subject to it being used in used in the lie flat position). Normally it is recommended that newborns do not spend any more than one and a half to two hours in a car seat, as there are links between babies in upright car seats, oxygen desaturation and SIDS (Google “car seats oxygen desaturation” for full details). However, as you have the option with Matrix Light to be able to put it either into an upright position or lie flat, you do not have to worry about the amount of time you are travelling with baby. includes changing bags and rain cover for the epic.Patented very compact folding system,10% more compact,Seat unit faces either direction,3 Position reclining backrest and footrest, plus 1 position for folding, Matrix Light 2 is the incredibly innovative, multi-functional lie-flat and rear-facing car seat and carrycot from Jané.